Audio technology never stands still, but in the last decade it’s felt like the industry’s been running the 100-yard dash every day. 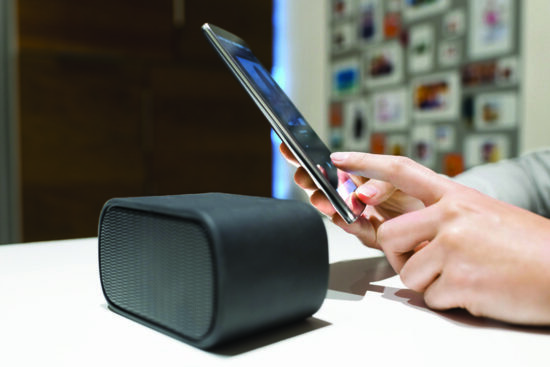 In just a few years we’ve gone from CDs to MP3s to streaming, from larger stereo systems to all-in-one wireless speakers, and from listening at home to listening on the go almost exclusively. Although no one can say for sure where audio technology will go in the next five years, recent products and new technologies can help us make some educated guesses. It’s been about 20 years since the first digital speakers—those with internal amplifiers and digital signal processing (DSP)—appeared, and tradition-bound audiophiles haven’t been quick to embrace them. That’s a drag, because having a separate amp for every woofer, tweeter and midrange, with each driver’s sound tuned to perfection through DSP, is incontestably the best way to build an audio system that accurately reproduces Miles’ trumpet or Tony Williams’ cymbals. But the dam’s starting to break. 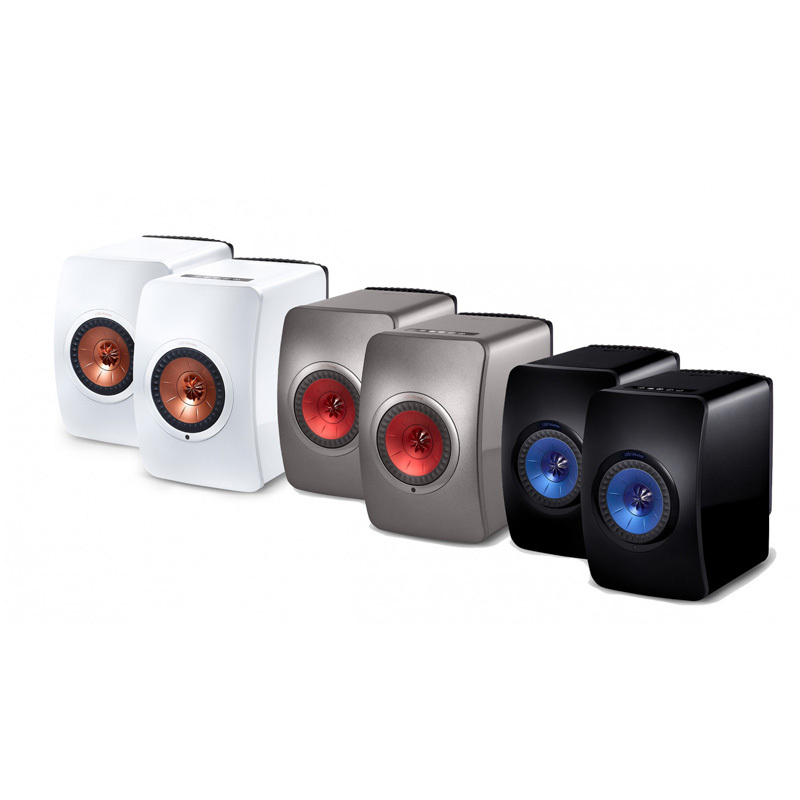 Recently, famed speaker brand KEF used its audiophile-acclaimed LS50 speaker as a sort of Trojan horse for digital, creating the LS50 Wireless: an LS50 with built-in amps, digital processing and streaming through a network or Bluetooth. It’s a system in itself, with no extra components necessary (unless you count your phone). By 2023, expect almost every high-end speaker brand to offer at least a couple of digital models. Many jazz record companies are wary of Internet streaming services such as Spotify and Tidal due to their often insultingly small revenues. But those labels are increasingly starting to see streaming as a necessary evil, because if a musician’s not on those services, they basically cease to exist for millions of listeners. A few years ago, there wasn’t a great deal of jazz on Spotify; now it’s hard to find a jazz artist who’s not there. In mid-November, jazz’s most important holdout against streaming, ECM Records, made its highly collectible catalog available on streaming platforms in its entirety. In five years, expect to find almost all jazz releases on streaming services, with the exception of a few special-edition vinyl releases. The growth of streaming has taken a big chunk out of the music download business. With streaming, you’re never more than a few clicks away from hearing Bird’s “Scrapple From the Apple.” With downloads, you have to pay for the music, perform the download and then figure out how to get it into your music player. It’s no contest. And the launch of high-resolution streaming on Tidal, using the new Master Quality Authenticated (MQA) technology, has eased audiophiles’ concerns about streaming’s sound quality. When Apple removed the headphone jack from the iPhone in 2016, it forced audiophile headphone companies to take a fresh look at Bluetooth wireless—which requires the headphone to have a built-in amp, making it easier to add DSP, noise cancelling and multiple sound modes. New ultra-efficient, higher-powered DSPs will let audio engineers tune any wireless headphone to a much higher degree of perfection than they could before, and they’ll make the noise cancelling work better, too. Meanwhile, Qualcomm’s just-released aptX HD Bluetooth technology may help persuade audiophiles that they can go wireless without losing the subtleties of Trane’s tone. MEMS (Microelectromechanical systems) microphones measure just a few millimeters across, which is why they’re now used in all smartphones, Bluetooth headphones, etc. But their promise is just starting to be tapped. By using arrays of tiny MEMS microphones instead of a large diaphragm, a single product can accurately mimic the characteristics of classic studio mics like the Neumann U 87 or workhorses like the Shure SM57. Add a MEMS array to a wearable device and you’ll be able to make high-quality mobile recordings. You can get a taste of this now in the Sennheiser Ambeo Smart Headset, a set of in-ear headphones with built-in MEMS mics and iPhone-controlled digital processing. Played through headphones, the Ambeo’s binaural recording will make it feel like you’re sitting—well, exactly where you were sitting when you heard the music live. Today’s kids have never owned a CD and never will. CDs still constitute a large percentage of physical-media sales, mostly in traditional genres such as jazz and classical, in large part because listeners have become used to the format. But as more jazz fans get hip to the convenience of streaming-driven voice-command products like the Amazon Echo and Google Home, it’s unlikely their attachment to the little silver disc will last. And with sales of Blu-ray discs already in a four-year decline, it may be nearly impossible to find a machine to play CDs in five years. Vinyl records have survived so many predictions of their demise that they’ll probably still be around when Joey Alexander becomes an NEA Jazz Master. Most of the turntables of the 2020s will probably look much like the ones we have now, but the popularity of Bluetooth-equipped ’tables suggests many listeners want their vinyl served to them on a platter, so to speak. Expect to see more digital technologies make their way into turntables: WiFi interfaces that can spread the sound to speakers all around the home, sound-optimizing digital processing built right into the cartridge, and, yes, probably even Amazon Echo-style voice-command features. Read Brent Butterworth’s Audio Products Gift Guide.